As I’ve mentioned before on this site, most of our current arguments over legalization are nothing new. Many are recycled, often almost verbatim, from conversations we’ve had about marijuana for the past four decades. But what makes debates about Big Marijuana relevant today is how surprisingly consistent they’ve remained. Activists for and against legalization have warned against a corporate takeover of the industry for years, with the only difference being how, and why, they’ve made their claims. Pro-marijuana activists have long argued against Big Marijuana out of fear that it would destroy the purity of their culture, eliminating the radical countercultural ethos that originally inspired the movement in the 1960s. 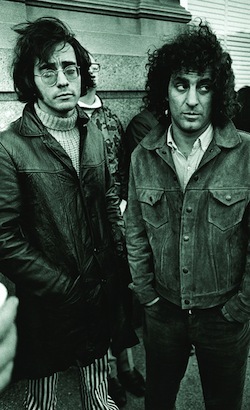 In January 1977 Abe Peck published “The Rolling Paper Review” in Rolling Stone, which detailed “the past, present and future of the paraphernalia industry.” In it, he interviewed two young men who had made fortunes in the marketplace of decriminalized marijuana: Don Levin, the 28-year-old president of Adam’s Apple, a paraphernalia supply company based in Chicago, and George Sells, the 33-year-old distributor of One-and-a-Half rolling papers and owner of Head Imports in Aspen, Colorado. But if pro-marijuana activists were warning against Big Marijuana because they feared it would destroy their countercultural way of life, a marijuana market on level with Big Tobacco was equally as frightening to anti-legalization activists, though for vastly different reasons. Sue Rusche, who founded the grassroots anti-drug parent group National Families in Action in 1977, wrote in her Guide to the Drug Legalization Movement and How YOU Can Stop It! that Big Marijuana would be the de facto result of any legalization initiative, and that drug use would dramatically increase as a result. Rusche paralleled legal marijuana with the tobacco industry’s rise after cigarettes were invented in the 1860s, and argued that this was a perfect example of how the country had repeatedly combined “an addictive drug with the uniquely American forces of mass production and mass advertising.” This dangerous combination “virtually guarantees mass consumption,” Rusche wrote, and warned that an endless budget for promotion would mean that, just as cigarettes had been promoted with Joe the Camel, marijuana would be marketed directly to kids. For those reasons alone, Big Marijuana had to be stopped. Quotes like these make it clear that one of the most pervasive and persistent fears about legalization is not about marijuana’s uses or effects, but rather about its potential corporate exploitation. As the multibillion-dollar market moves mainstream, fears that marijuana would be subjected to the same sense of capitalistic greed that drives Philip Morris and Anheuser-Busch sends chills down the spines of all marijuana activists, whether they support legalization or not. And even as a majority of Americans (58%) support legalization, forty years of consistently anti-corporate debate prove that, unlike any other drug or crop, voters are more willing to support marijuana if its production and distribution remain almost artisanally small. Like microbreweries or family farms, American voters seem to enjoy marijuana when it is local and organic, farm-to-table, single-origin; pot as the new arugula in your CSA. But as a potential new Philip Morris, voters will pull the plug. 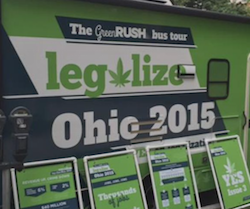 The most important lesson that we can take from voters’ rejection of Issue 3 is not that, despite Ohio’s stumbling block, legalization is still a done deal – “inevitable” as Alex Halperin said in Rolling Stone or that “all that remains is for the last chips to fall,” as Wil S. Hylton wrote in New York magazine. Nor does it mean that Kevin Sabet is correct when he says that “the anti-legalization movement is alive and well,” and that the tide against legalization has already started to turn. Instead, it means that significant questions remain about what the legalized marketplace should look like in the future and how it should work. Concerns that were brought up over forty years ago remain problematic today, not because people don’t feel strongly about them, but because marijuana has swung so repeatedly between the polls of demonization and acceptance, from “Just Say No” to “Yes on Issue 3.” But even as the drug’s legality continues to shift, our long and complicated history with Big Marijuana should have anticipated the outcome of last Tuesday’s vote. Ohio’s rejection of Issue 3 may not predict where legalization will go from here, but it certainly shouldn’t have come as a surprise. Great post, Emily. On the ground here in Ohio I can confirm you are right that it was the monopoly more than the marijuana that led to such a sweeping defeat for Issue 3.